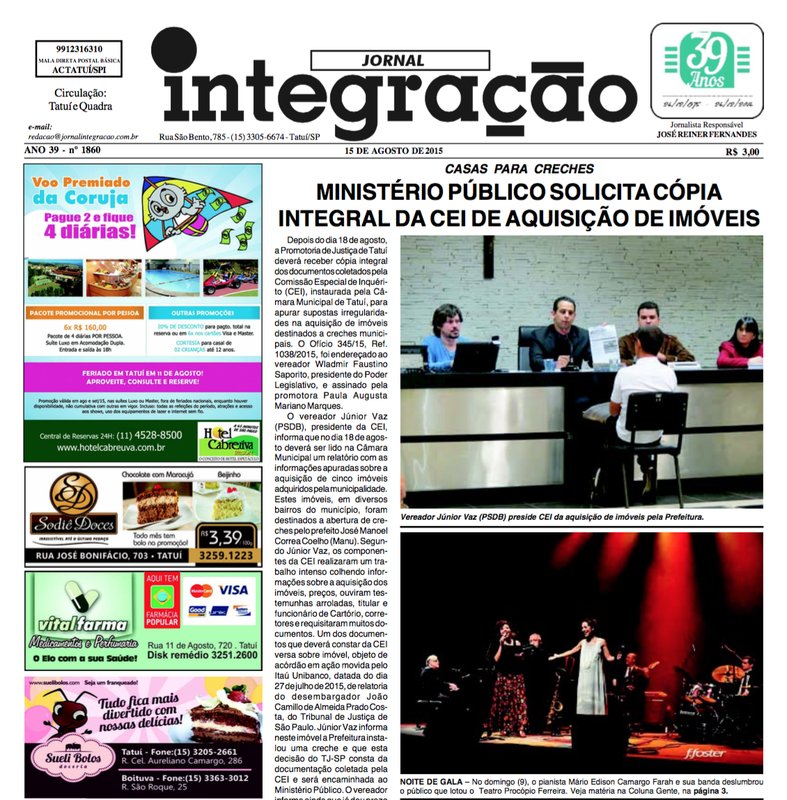 This entry was posted on agosto 16, 2015 at 6:29 PM and is filed under Coluna Policial, Economia, Esportes, Falecimentos, Negócios, Notícias, Novelas e TV, Política, Região, Saúde, Sociais. You can follow any responses to this entry through the RSS 2.0 feed. You can leave a response, or trackback from your own site.